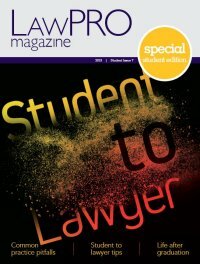 Timely efforts by LawPRO to “repair” errors committed by lawyers save the Ontario bar millions of dollars every year. 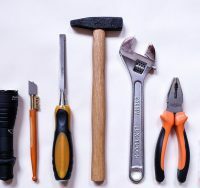 To preserve these repair opportunities, lawyers should contact us as soon as it becomes clear that a mistake may have been made on a file. A multi-million dollar claim was averted when the Ontario Superior Court ordered that a will be rectified to properly reflect the instructions a testator gave to a LawPRO insured (2016 ONSC 8150). The insured made a drafting error, misstating the number and type of shares in the testator’s company that the estate trustee was directed to sell. The insured unequivocally admitted his mistake, and the testator’s accountant confirmed the insured’s evidence. The insured and the accountant provided evidence about the intended number and type of shares. The court accepted that the error was an accidental slip, and granted rectification. After suffering an injury in 2008 on premises controlled by the Border Services Agency, a plaintiff brought an action against Border Services and an additional defendant who had control over conditions at the accident location. Border Services cross-claimed against the second defendant. After the suit was filed, the plaintiff learned that the second defendant was subject to an order under the Companies’ Creditors Arrangement Act, and that the plaintiff’s action against it was automatically stayed. The action languished for some time, in large part because the plaintiffs’ solicitor had difficulty in resolving how to deal with the claim against the second defendant. Plaintiffs’ counsel received a status notice in March 2012. His staff inadvertently failed to request a status hearing. The action was dismissed. Upon hearing of the dismissal the plaintiff’s counsel advised Border Services of its intent to bring a motion to set aside the dismissal order. Border Services agreed not to oppose the motion. However, by the time the motion was heard in March of 2015, Border Services had changed its mind and argued against setting aside the dismissal order. The Superior Court of Justice dismissed the plaintiff’s motion. LawPRO appealed (2016 ONCA 187), arguing that alleged prejudice caused by the plaintiffs was not established, and that the delay was caused by the difficulties the plaintiffs faced in dealing with the insolvency of Border Services’ co-defendant. The appeal was allowed, reinforcing the liberal “set aside” cases decided by the Court of Appeal in the past several years. This ruling has proven useful, in subsequent cases, in establishing that the claims were not statute-barred, even where the plaintiffs and their solicitors were not diligent in investigating potential claims. The plaintiff in the case fell from an elevated dance floor in a nightclub. The plaintiff sued the tenant who operated the nightclub. The tenant did not suggest that the landlord was involved in constructing the elevated dance floor until its examination for discovery. The Court of Appeal affirmed that the plaintiff was not obliged to seek information from adverse parties prior to documentary and oral discovery, in circumstances where those adverse parties have no legal obligation to provide the information. This case is likely to be useful in future motions to add defendants after a limitation period has ostensibly passed.